Shashi Tharoor, a member of parliament from Congress, has asked the government to consider instituting lateral entry into the civil services as well as mandatory temporary postings for government employees in multinational agencies and private organisations. Tharoor and many other ‘administration reformists’ believe the private sector may inject a healthy dose of new ideas, efficiency and culture of risk taking into the slow engine of bureaucracy, an institution which is currently rewarded more for process than performance. Western countries, such as the US, that have created synergy between the public and private sectors, are often cited as successful examples to emulate. The Republican Party in the US, which is philosophically opposed to big government, believes that government should be run as a business in order to make them efficient. However, those who champion such thinking in India are obviously unaware of the status of this old public-private debate in the US. The postmortem of the 2008 Wall Street crash, which shook the US economy and the global economic system, has been conducted in two stages. In the first stage, key deregulatory policies were identified as the culprits behind reckless financial activity. In the second stage, key actors who were responsible were identified. But the second stage was restricted to government figureheads, like the president, influential congressmen and big businesses, such as a few powerful private banks. In recent years, this analysis-of-actors has gone one step further to expose the worrying nature of the nexus between the government and the private sector. The old thinking was that the private sector influenced government through lobbying and dark campaign contributions, in ways that were either illegal or at best grey in their legality. This type of influence isn’t news to those who debate crony capitalism in India. However, what is now being uncovered in the US, and still largely unknown in India, is the perfectly legal way in which the private sector not just lobbies government, but becomes part of it. This legal crony capitalism, which happens through the exchange of personnel from private business and the US government, is done in two ways. The first is ‘expertise selling’. One key example of this nexus was seen in the linkages between personnel in the private financial services and the federal reserve of the US. An increasingly complex combination of trade and technology made managing the economy an increasingly complicated process as well. With the introduction of financial instruments such as derivatives, credit swaps, future trading and the like, the bureaucracy in the US was unable to wholly grasp the complexities of the new economy. These new inventions bewildered bureaucrats and politicians, let alone the average citizen.The government then turned to experts in the financial services industry, who took up technocrat roles to help the government negotiate the labyrinthine complexities in the economy. This type of collaboration affects the way in which a policy problem is presented to the political leadership. In the interest of time and efficiency, most often a problem is stripped of its complexities and layers by the time it reaches the ‘big desk’. Entire discussions on highly complex matters are wrapped up in a few hours or days. Problems and solutions are summarised. In a complicated matter, such as pension regulation or insurance management, the technocrats are relied upon to demystify the problem. When things are done this way, technocrats frame a given problem and its solutions in such a way that the politician being advised is not privy to the entire picture. Then, while advising, such technocrats try to influence politicians into decisions that benefit the industry more than the consumer, or a specific business house rather than the entire market. We can extrapolate this scenario to an Indian situation – where the secretaries from the finance and commerce ministries as well as the RBI governor have links to the private sector. Then the attitude of the minister becomes irrelevant because he sees a picture that was framed by pre-fixed agendas. The second legal way of injecting pro-business bias into the government is ‘encircling’ the government. If a well meaning politician wishes to get a second opinion on a complex financial policy issue, he or she turns to rating agencies, think tanks or academic papers on the subject. But in the US, personnel from specific big businesses are taking up post-retirement jobs in such places. This allows them to hide the risks their previous businesses are taking and produces a ‘knowledge fog’ which creates multiple blind spots. The complete encircling of the government is an unfinished task in India, which is precisely why these counterarguments must be put on the record as the debate on ‘private-public synergy’ gains momentum. The US is now seeing strong opposition to what is termed the ‘revolving door’ between the private sector and government. Progressive activists in the US have identified a pattern in hiring people from the private sector for key government positions before, and even after, the 2008 crash. “Personnel is policy” is one of the key slogans of progressive US senators like Elizabeth Warren and Bernie Sanders. The slogan means that policy is only as full-proof as the people who have designed it. The progressive wing of American polity has called for legislation to this effect – the Financial Services Conflict of Interest Act, which will control the revolving door between the government and the private sector. The legislation has specifically called for a cooling period between such transitions. The bill stipulates that lateral hires will have to step away from decisions that directly deal with their former employers in the private economy. It also calls for stopping the practice of business organisations paying big bonuses to their personnel before they enter the government – a frequent practice earlier. In conclusion, these warning signs, revealed within the US government, should not be taken to mean that issues concerning managing the economy vanish if there is a blanket ban on creating synergy between businesses and the government. The pernicious nature of this influence is one major example of the synergy between the public and private sector through the exchange of personnel. Tharoor, who also backs lateral entries in the foreign service, is the chairperson of the Parliamentary Standing Committee on External Affairs. Nirupama Rao, the former foreign secretary, has endorsed the idea in an article. “It is good that boundaries between the MEA [Ministry of External Affairs] and the world outside are made less rigid so as to permit innovative thinking in various areas, political, economic, developmental and cultural”. But these proposals pave risky paths because they may attract the purses of not just multinational corporations but also foreign governments; and lobbying arms that come in all shades of grey. Pernicious incentives for policy makers don’t have the simplicity of cash-under-the-table transactions anymore. Last but not least, the larger philosophy of running a government like a business is questionable in itself because the government is not supposed to be run like a business. In fact, the government is supposed to cover areas the market has missed or cannot be allowed into. Dialogue between business and government is indisputably necessary. However, calling for lateral entry from the non-government sector may lead to the normalisation and permanent institutionalisation of crony capitalism, albeit in a legal way. This may further help big businesses by reducing their lobbying expenditure and associated risks because they would be presented with legal channels to insert their own interests into the government via personnel transfer. Running a government like a business will harm all three – the government, the free market, and the citizens. Smooth personnel exchange compromises a government’s integrity, creating what the political scientist, Atul Kohli, has labeled “a two-track democracy”. While the politician needs voters during elections, he or she is consciously or unconsciously working with a pro-business bias. The market is harmed because it is big businesses in a particular sector that have the ‘big experts’ to loan the government, who will then make sure the sector they now administer is unfriendly to new entrants. The citizens will be harmed as their voices will go further away from their leaders’ ears than the voices of big business, while a compromised free market presents fewer choices and higher prices and risks for purchasing goods and services. 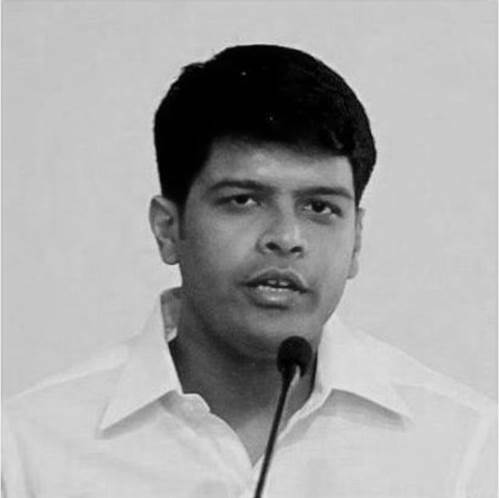 Sampad Patnaik (Weidenfeld Oxford Barbara Walters Scholar, MSc India Studies 2014-15) has served as a financial journalist with Thomson Reuters, and was a Legislative Assistant to Member of Parliament (LAMP) Fellow with PRS, Delhi.